We’ve written about Wake Alarm Clock and Rise Alarm Clock before on Beautiful Pixels and both apps have received a thumbs up from us. Since the arrival of iOS 7, Wake and Rise have been updated to version 2.0 and 4.0 respectively. 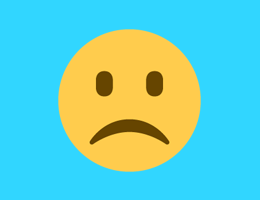 Both updates include new features and now require iOS 7 or later. Wake and Rise are minimalistic in their own way and have only gotten better with their recent updates. Since we’ve written about the functionality of these apps before, we’ll only be covering the new features and beautiful pixels that have been added. With version 2.0, Wake let’s you set an alarm using just your voice. Although a little slow at first, this feature works rather well and I found myself using it quite a bit. You can now view Wake in all its beauty in landscape mode as well. This can be really helpful if you like using your iPhone as a clock at your bedside. To top it all off, the folks at Tiny Hearts have also developed a separate iPad version of Wake that looks absolutely gorgeous. The app has maintained its popular features and alarm styles such as Slap & Flip, Shake and Swipe and has also added support for custom alarm tones from your iTunes library. Wake Alarm Clock is available for iPhone for $1.99 and is currently available for $2.99 on the iPad. Rise has been around for a while and with every new version, the developers at Simplebots have made significant improvements to it. Version 4.0 is no different. The new version adds support for multiple repeating alarms with custom labels for each. This has been a much requested feature of Rise and can be unlocked via an in-app purchase. Rise 4.0 comes with a few background options such as Night, Skyscape and Transparent (which turns on the rear facing camera), enabling you to personalise your alarm clock. When you wake up using the new and improved Rise, you’re greeted with a motivational quote and the day’s weather forecast. Waking up and glancing at the day’s weather without opening another app is a thoughtgul adition and has been really helpful for me. 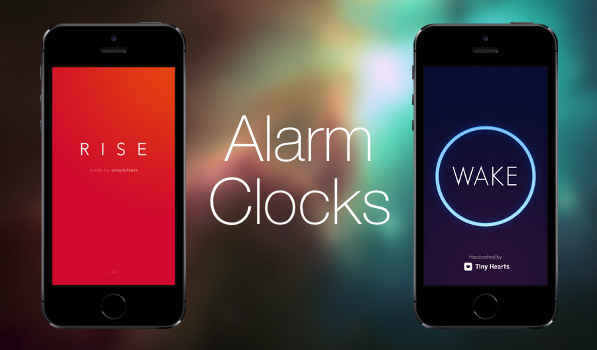 You can pick up Rise Alarm Clock as a universal app on the App Store for just $1.99.